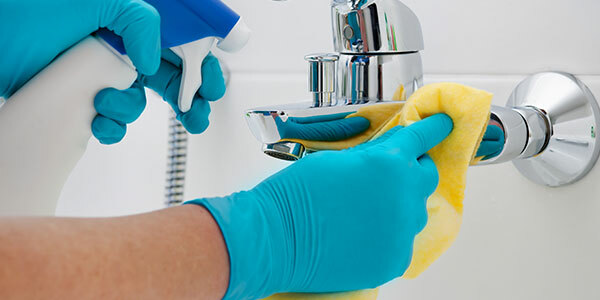 Cleaning the bathroom is no one’s favourite job, but here are 10 quick bathroom cleaning tips to help you stay on top of the grime so that you don’t have to spend hours and hours scrubbing the bathroom every week. 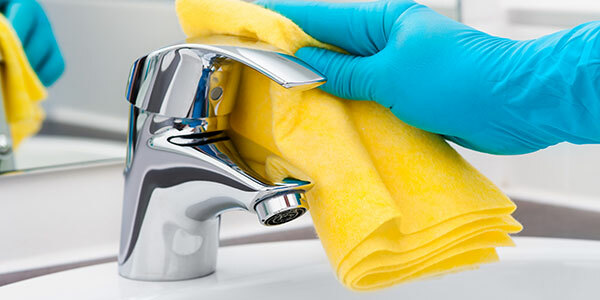 If you can find 5 minutes a day to give your sink and toilet a quick clean and wipe over, you’ll find you don’t need to do a big clean every week. 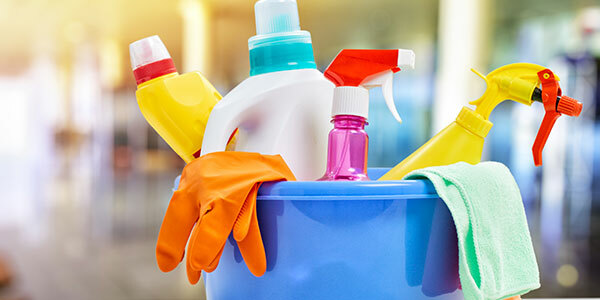 Start by clearing all bottles, toiletries and bits and pieces away from the surface you want to clean, so that you are ready to tackle them quickly. Get rid of watermarks on stainless steel with juice from a lemon, just rub it over the mental and watch the marks disappear. 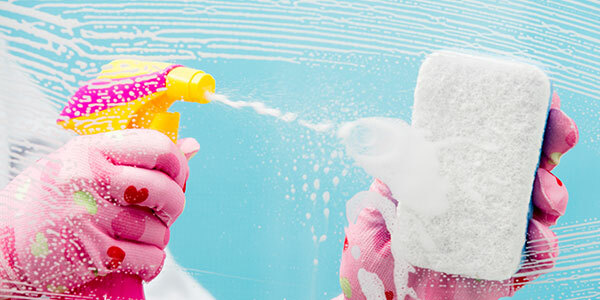 A bag filled with white vinegar is all you need to clear your shower head from limescale. Simply tie it on with bag ties and leave overnight. Tackle dirty grout by using an old toothbrush dipped into bleach. To keep your plug holes from blocking up, every few days boil the kettle, pour half down the drain wait 5 minutes than pour the rest down there, this will help to prevent blockages. 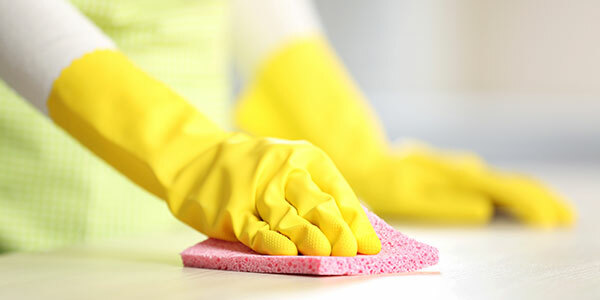 Wipe down your kitchen sink every day, with an antibacterial wipe, this will reduce the need for a regular deep clean. To quickly clean the toilet bowl, mix up ¼ cup of bicarbonate of soda and cup of white vinegar, and simply leave in the loo bowl for 10 minutes before flushing! Most shower curtains can actually be put into the washing machine, saving you the hassle of trying to clean it by hand! Check the label first! Vacuum your bathroom floor before mopping it, this will collect all large pieces of dust, dirt and rubbish, making moping much easier! Keep a basket of cleaning products, gloves, clothes, scrubbers and anything else you use to clean, in a convenient place in your bathroom. This way you don’t have to rush about trying to find the appropriate things. Don’t worry, if you find keeping on top of the housework just too much, Workbusters can help! Not only do we love cleaning bathrooms, but other rooms inside the house too!